The serving tray by Frost is a design by the Bønnelycke design studio and is characterised by straight lines, defined edges and a simple overall appearance. The tray is made of light aluminium and features edges so that objects on it cannot fall off during transport. Two handles on the short sides also make carrying easier. The tray is ideal to carry food from the kitchen to the dining table, serving snacks and canapés for guests, but can also be placed as a decorative element in the kitchen to arrange oils and herb pots on. Made of aluminium and then lacquered, the tray is available in various colours. 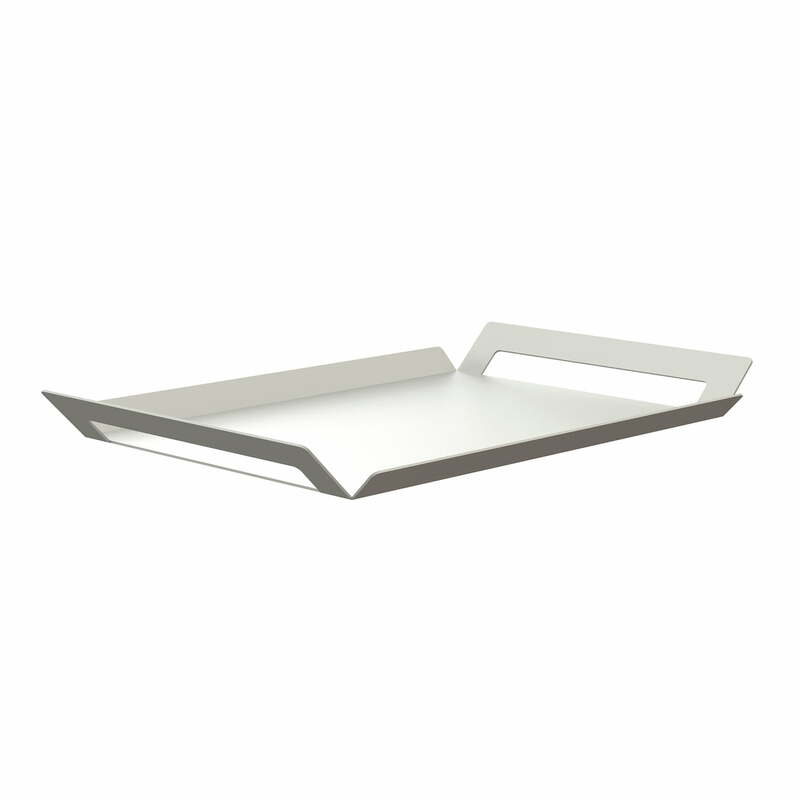 The serving tray from Frost is made of aluminium, therefore particularly light, and is ideal for transporting food or to display decorative elements on the table.